The blinking seems to be ending properly now when it’s finished. I’ve also tested it using a creature with the same effect as I was testing with a spell before. 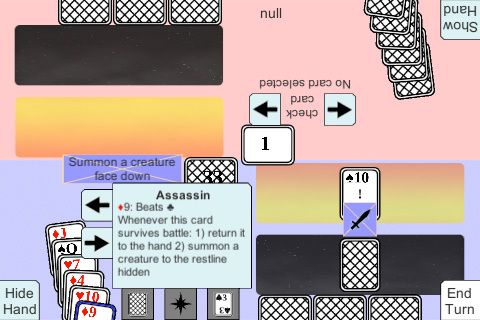 The screenshot shows the blinking ended when the highlighted creature’s effect ended. Also fixed some other bugs along the way. What’s next: I think it’s time to put focus back on the instruction manual as it’s important people know how the game works. I’ll be putting the rules in a booklet format and separating it into pages.